MadisonMott is a relatively small Westport branding and marketing firm with a big portfolio. 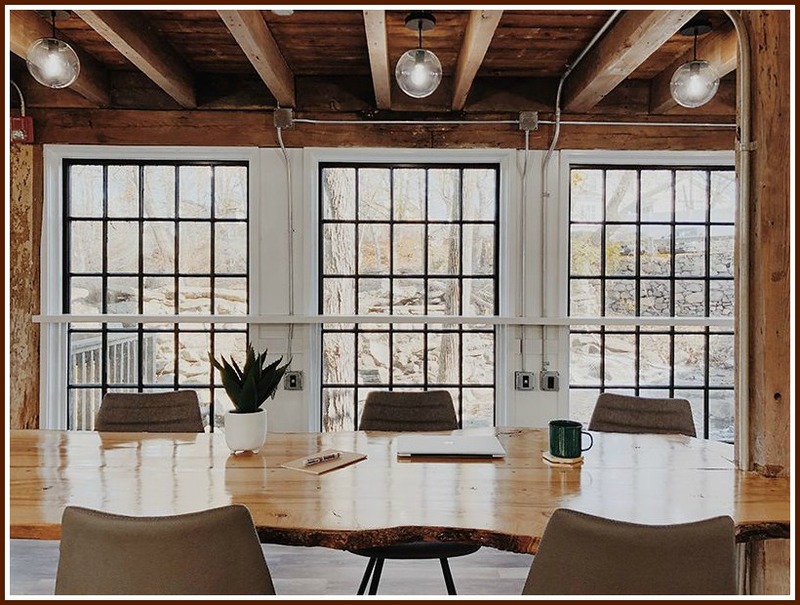 From funky Saugatuck digs, they handle logos, identity development, web design and massive content management platforms. 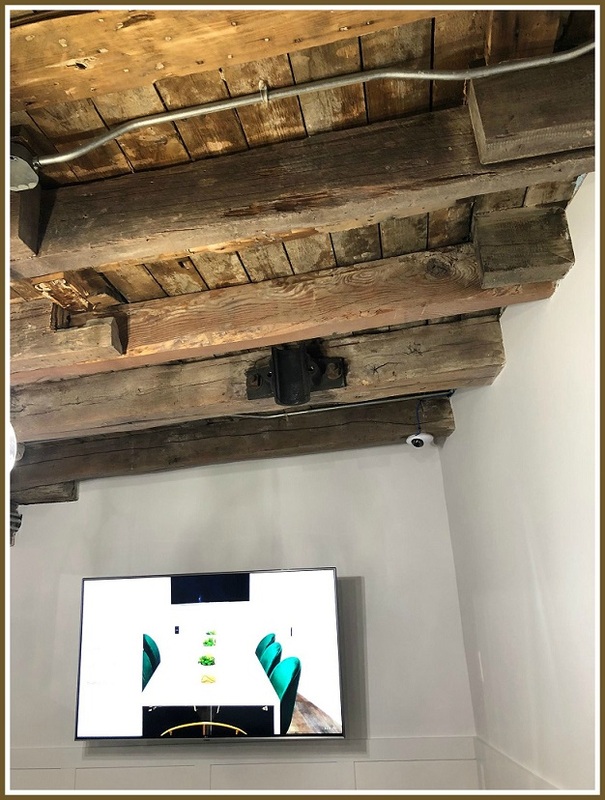 Clients like the Yale School of Music, a French wine seller and a Puerto Rican property love MadisonMott’s blend of hip creativity and pure professionalism. ClearPharma is a fledgling Westport company seeking to make a big name in the “orphan disease” world. They’re creating an online software platform called onevoice. 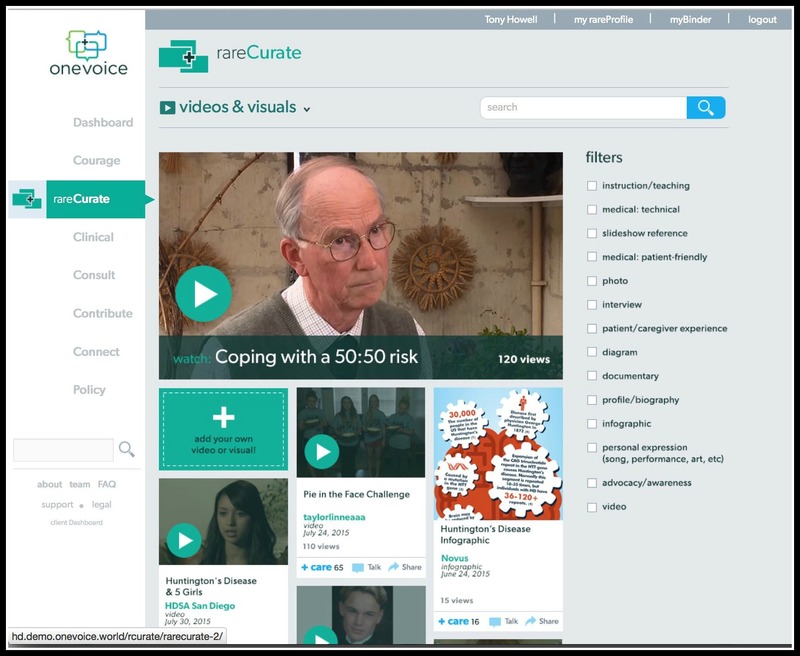 It’s designed to build communities by providing the 2 things that patients and families who suffer from 7,000 rare illnesses most crave: emotional support and curated disease information. Despite its international scope, MadisonMott is proud of its local roots. And onevoice creator Dan Donovan — a native Westporter — likes to use as many local resources as he can. Their partnership was solidified thanks to Staples High School soccer. Donovan captained the state championship 1981 team. MadisonMott founder/CEO Luke Scott also played for the Wreckers, graduating 10 years later. Showing a flair for learning about new and totally unfamiliar subjects, Scott and his team jumped into the project. 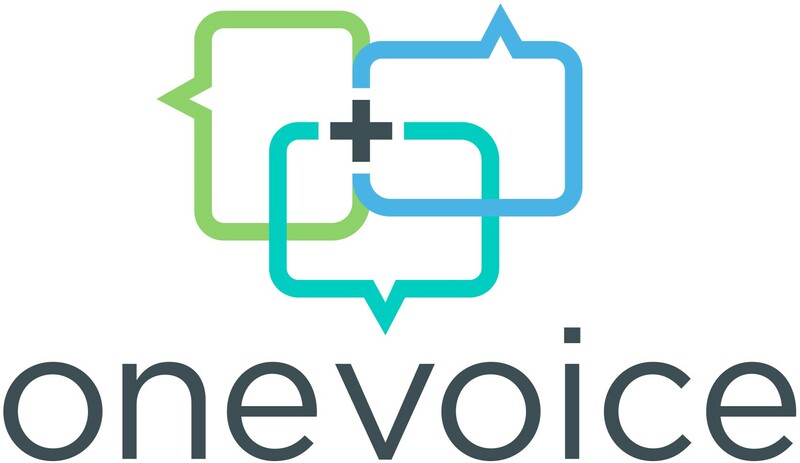 MadisonMott first created a logo for onevoice. Very quickly, they moved onto more technical challenges. The online platform — to be rolled out later this year, linking thousands of diseases that pharmaceutical companies traditionally have not cared about, and medical researchers overlook. To promote the platform, MadisonMott built the product website. “It’s the coolest site I’ve ever seen,” Donovan says. Donovan brought Scott to trade shows, including the World Orphan Drug Conference in Washington, DC. They left with 69 leads — nearly all of them solid. Donovan credits a lot of the success to MadisonMott’s deep understanding of what onevoice is trying to accomplish. “They’re as much a part of us as my own team,” Donovan says. “And they’re almost part of us,” Scott agrees. A screen shot from the onevoice platform. “This is a very tangible thing,” Donovan — who had a long career in pharmaceuticals, then formed his own company focusing on medical publications — says. The marketing industry has already paid notice. The Connecticut Art Director’s Club presented MadisonMott with 2 gold awards, for the OneVoice logo and website. Soon, the entire orphan disease community will take note too. If B:Hive is half as successful as the group that created it — and gave it its spectacularly clever name — it will be one of the most impressive Bridgeport stories in years. And an avid Westport booster is playing a big role in the city’s renaissance. B:Hive is a great environment to work in. 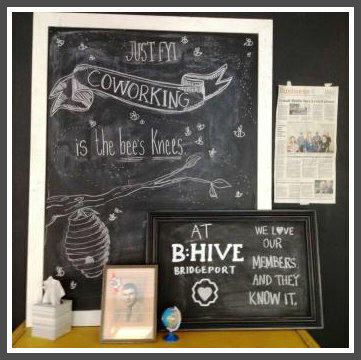 B:Hive is a flexible, funky (and very airy) “co-working space” in Bijou Square. Boasting workstations, supplies, a lounge with video and board games, 3 “phone booths” for private conversations, conference room, mailboxes, free coffee, storage for laptops and bikes — and of course killer WiFi — it’s the perfect way for entrepreneurs, writers, tech guys (and gals), musicians and producers, small business owners, and anyone else with a home office to get out of the house and into a lively, shared, work-and-fun environment. Oh, yeah. It’s open 24/7/365. proud to “B” in Bridgeport. Like a hexagonal beehive, “B:Hive” has a 6-sided logo. That’s a tribute to its 6 founders. One of them is Luke Scott. 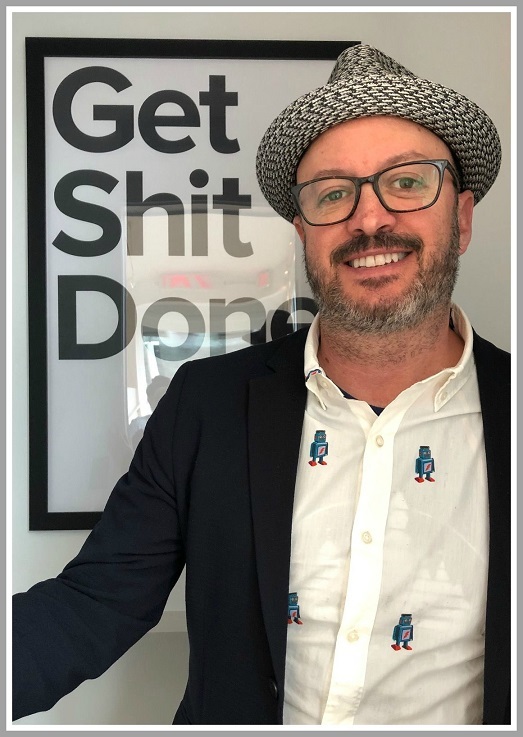 A proud 1991 Staples High School grad who last year moved his very successful company — Madison/Mott, a hip branding, advertising, digital and social agency to Ketchum Street, in the heart of resurgent Saugatuck — he nonetheless lives in downtown Bridgeport. He loves his adopted city. He goes to the Bijou Theatre, enjoys pizza and music at Two Boots, and is inspired to contribute his many talents to harnessing the immense — but achingly unfulfilled — potential of Connecticut’s largest city. He found kindred spirits in his girlfriend, Marcella Kovac, and 4 good friends (who are also couples). All are committed to Bridgeport, emotionally and financially. Each of the 6 contributes a special talent. Besides Luke and Marcella — a graphic designer — there’s Jordan Rabidou (programmer); Madeline Rhodes (visual stylist), Amy Henson (teacher) and Ben Henson (city planner). 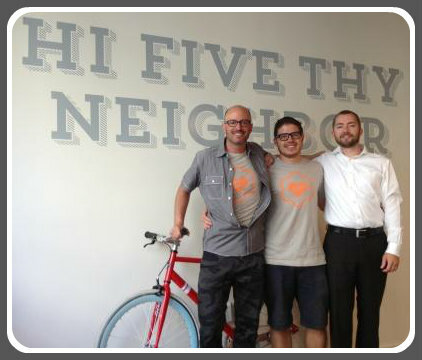 3 of the B:Hive’s 6 founders (from left): Luke Scott, Jordan Rabidou and Ben Henson. devised a pricing structure ($20 a day, $80 for 5 days, $200 a month, $2,000 a year). As B:Hive builds its community, its founders look ahead. B:Hive is also a great place just to chill. They’ve already hosted a very successful tech event and ping pong tournament. On August 1, there’s a Game Night. When students return to nearby campuses — UB, Sacred Heart, Housatonic, Fairfield U. — B:Hive will reach out to them. Luke Scott loves Westport. Moving Madison/Mott to Saugatuck is one of the best decisions he ever made, he says. But — unlike many here — he also loves the often-kicked, seldom-respected sleeping giant of a city 15 minutes away. How much does he love it? He points to B:Hive’s spacious bathroom. “There’s plenty of room to change into a power suit for a client pitch,” he says. The funky welcome at B:Hive Bridgeport. When the iPhone first came out, we were awed by its versatility. A day later, we complained about all the things it couldn’t do. Today, while we use our smartphones for everything from reading books to navigating roads, one of its core functions — it’s a phone, remember? — remains a bit clunky. Sure, I call you. But many other important aspects of communication — organizing and syncing contacts; creating groups like “family” and “work” and “soccer team”; sharing photos, files and calendars — could be much easier. Deets rides to the rescue. A Deets screenshot shows a variety of custom groups. And it doesn’t have far to go. The wildly popular app — recently featured in iTunes’ “What’s Hot” section, named one of the state’s top tech companies to watch, and the recipient of $750,000 in funding from Connecticut Innovations‘ technology fund — is a Westport company. Founder Linda Miller is local (she was the 20th employee at Priceline, then led development of Hotwire’s hotel product). She’s teamed up with Madison/Mott, the way-cool digital marketing/media company that moved from SoNo to Saugatuck last spring. Madison/Mott head honcho Luke Scott — a 1991 Staples grad — has teamed up with Linda to launch Deets. The idea is to easily connect people based on group functions, then enable private messages, photos, whatever, to be sent easily. Groups can be permanent (family), somewhat fluid (clients) or short-term (bachelorette party, ski trip, Christmas gift-giving). Luke Scott with his girlfriend, Marcella Kovac. 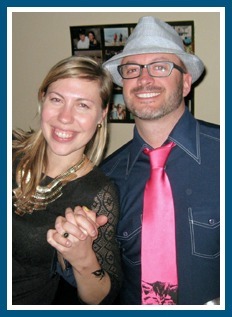 She helped organize his surprise 40th birthday party, thanks to Deets. Groups are easy to create and manage. Messages can be easily threaded — impossible with most iPhone communication apps. Contact info (once shared with a group) is updated automatically whenever it changes. The Deets homescreen dashboard makes it easy to see which groups have new activity. An Android version will be out soon. Because iPhones are not the only smartphones with clunky communication tools. The ping pong table was key. When Luke Scott and Kristen Briner were designing the new office for Madison/Mott — the very cool, very hip marketing/design firm that moved this month from SoNo to Saugatuck — they knew they needed many things. Blazing fast and always dependable internet connections. 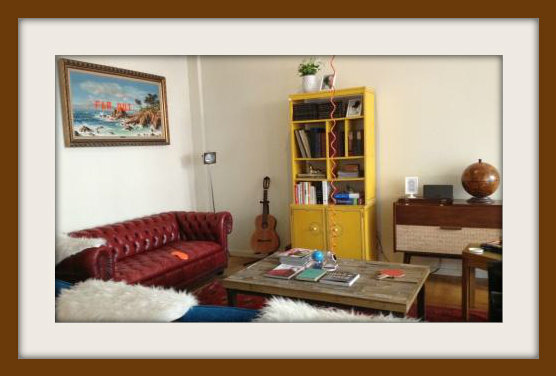 Plenty of space, lots of light, room for all their funky furniture. And definitely, a ping pong table. 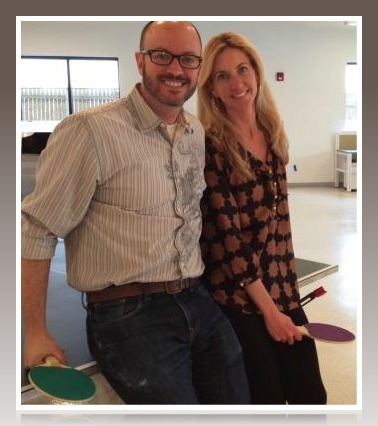 Luke Scott, Kristen Briner and the famous ping pong table. That table — one of the first things you see when you walk in off Ketchum Street — symbolizes Madison/Mott. The name combines classic Madison Avenue creativity with East Village punk. 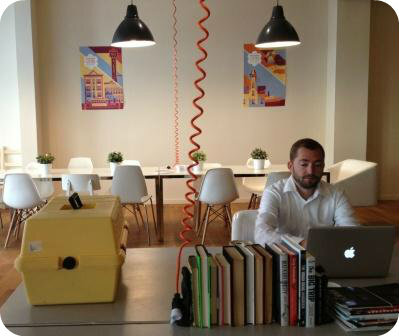 The young staff is fluent in mobile and social media, but also experts in branding and print. And the new office combines the hip feel of Silicon Valley with the pulsing excitement of the Saugatuck renaissance. 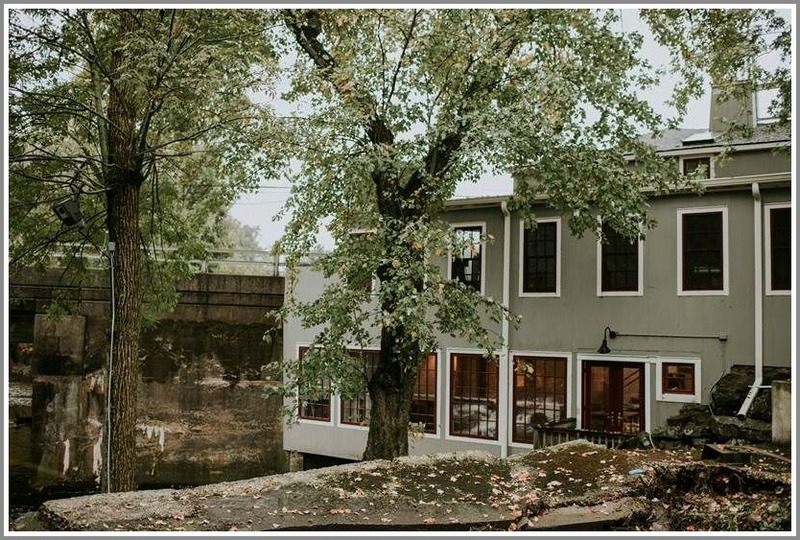 Moving back to Westport — Madison/Mott was founded here in 1999 as “Dogsname” by Kristen, Luke, and Luke’s late father John Scott — is satisfying, Luke says. But the story is even better than just great-business-returns-home. Luke grew up a quarter mile from his current office. He worked at Peter’s Bridge Market, washed dishes at Mario’s, and skipped school to take boats out on the river. Saugatuck lost its edge in the intervening years. Peter’s closed, the hot restaurants were in Fairfield (and SoNo), and there was no reason for young people — like the Madison/Mott crew — to come here. Now there is. Luke, Kristen and the rest of their creative staff form the vanguard of new small businesses that are revitalizing that section of town. They walk to restaurants — and from the train station. They can’t believe there’s a kayak rental shop around the corner. The new office is conducive to great work. In 13 years the firm has gone from hand-coding HTML (“poorly,” Luke admits) and hand-submitting sites to Yahoo (“they were the Number One search engine”), to being an award-winning hybrid shop with a diverse portfolio. Madison/Mott's home page design for Bahlsen. 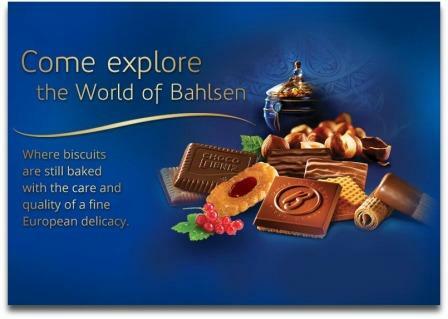 HobNob Wines is a client, and Bahlsen (European biscuits and chocolates). So are Yale West Apartments and Greenfield Partners (real estate investors). Yet Madison/Mott has not forgotten its roots. Gault has been a client for over 10 years. WishList has been too. Soon, the firm will roll out Westport Arts Center’s redesigned site. “It’s such an exciting and challenging time,” Luke says, referring both to his industry’s increasing emphasis on mobile platforms and social media, and his company’s return to its Westport roots. 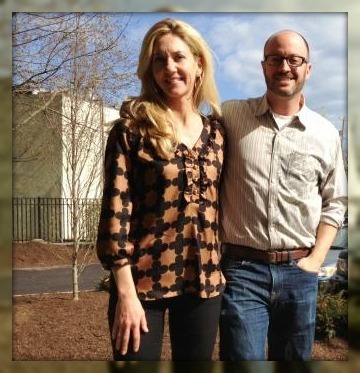 He and Kristen toured a dark, boxy building — former home to GE research, then Mecklermedia. The floor was cement, and wires hung from the ceiling. But Kristen envisioned what it could be. Kristen Briner and Luke Scott, on a gorgeous spring day. On their very first day in Saugatuck, an architect walked in the door. She’d seen the Madison/Mott blog, which invited people to say hello. “She literally stopped in,” Kristen laughs. They chatted. There may be collaboration ahead. There’s definitely a new friendship. And now, when he feels the urge to go out on the river, he doesn’t have to skip school. He can just skip out of work.